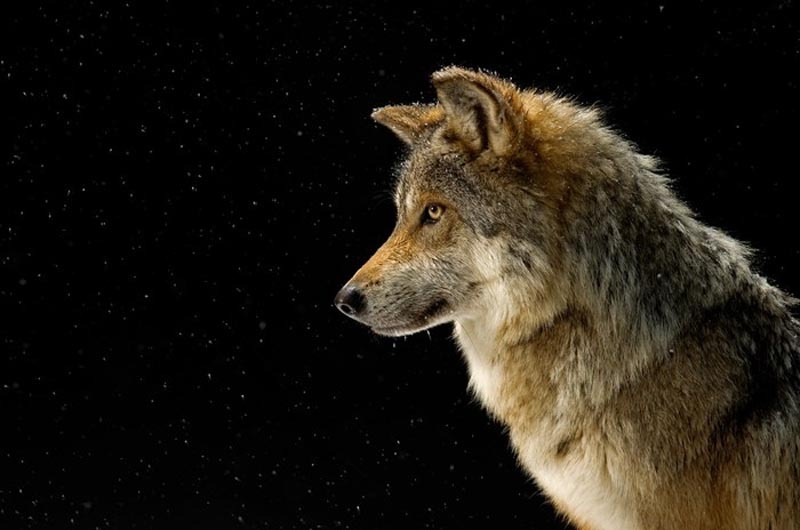 Endangered Mexican gray wolf by Joel Sartore. An early evening breeze brushes past the foliage embracing the walls of a seemingly ordinary home in Aquinnah. Closer inspection, however, reveals the dark-rusted head of a metallic dragon crouching in the shrubbery. Welcome to the Gay Head Gallery, where abstract ideas are presented in a gloriously tangible reality. Last Sunday, Megan Ottens-Sargent opened the doors of her home and gallery to host a new exhibit entitled The Abstract Wild: Wilderness Lost? which runs through Sept. 2. The opening night event benefited Defenders of Wildlife and the exhibit features numerous artists including John Nickerson Athearn, Jennifer Christy, Barbara Norfleet, Enos Ray and Matthew Smith. Several of the artists attended the opening of the exhibition, including abstract artist Jennifer Christy, who was accompanied by her husband and three children. The theme of the evening, however, constituted far more than just color. A copper block etching print by Matthew Smith. The exhibit was also being used to help promote a cause. Both the Gay Head Gallery and Defenders of Wildlife are striving to change the conservation conversation, preferring to target tangible goals, be it an art exhibition or a piece of legislation prohibiting the use of poisonous pesticides, instead of stagnating on economic and climate change crises that have been polarized by the media. Enos Ray, one of the artists in the exhibit, illustrated the value of determination when commenting on his own work ethic. It’s an investment in future satisfaction, and one that generations to come will hopefully continue to appreciate. Only perseverance can ensure that an abstract wilderness remains a future reality. Abstract Wild: Wilderness Lost? continues at Gay Head Gallery from August 10 to Sept. 2.